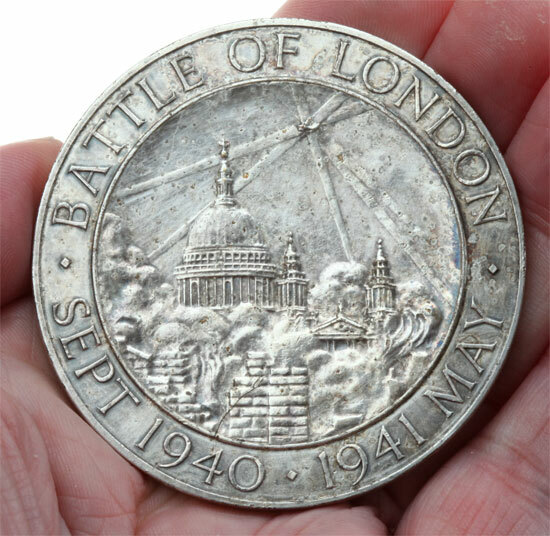 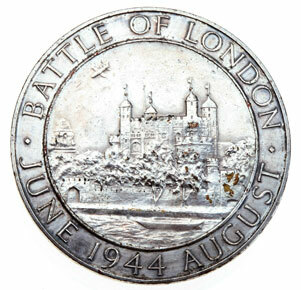 Battle of London Medal: Manufactured after the war by the medallists "Pinches of London" to raise money for the Royal Air Force Benevolent Fund. 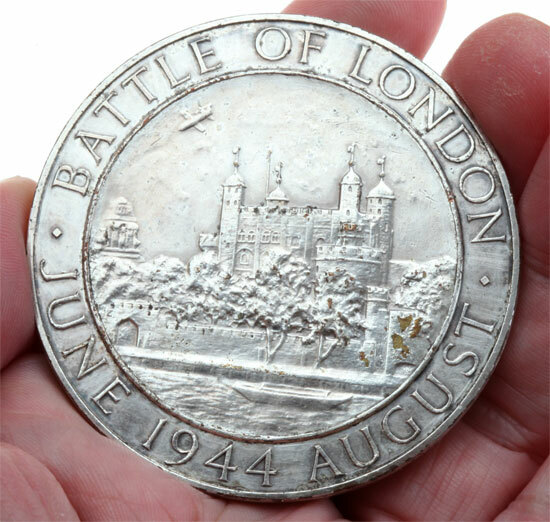 Silver plated brass, 57 mm, 67.03 gm, 43.1 dwt, rare, only a few thousand struck, moderate wear. 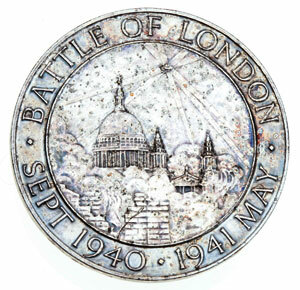 and an enemy aircraft caught in searchlight beams.